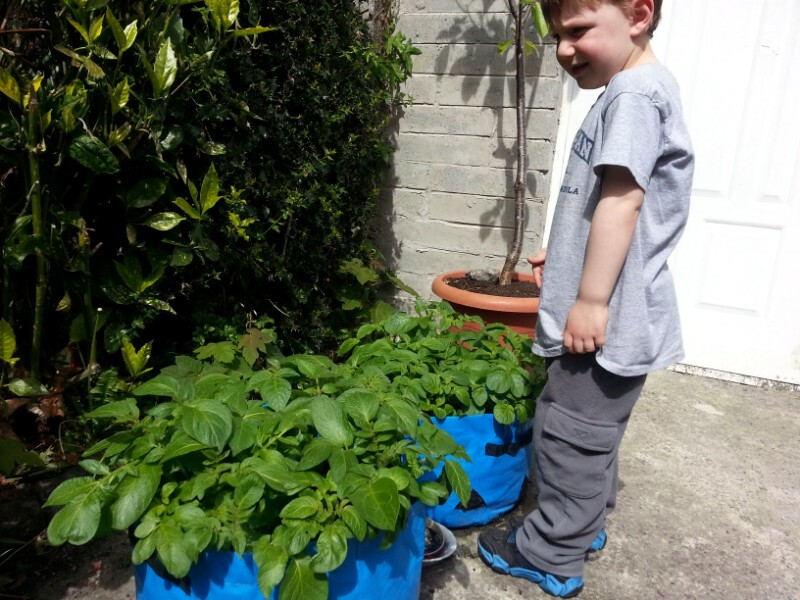 Young Indiana inspects our potatoes, which are growing like gangbusters. I thought the idea of putting them near holes in the container was that the tops would grow that way, but apparently the whole thing is shallow enough that both layers of potatoes are just reaching for the top. Gangbusters! 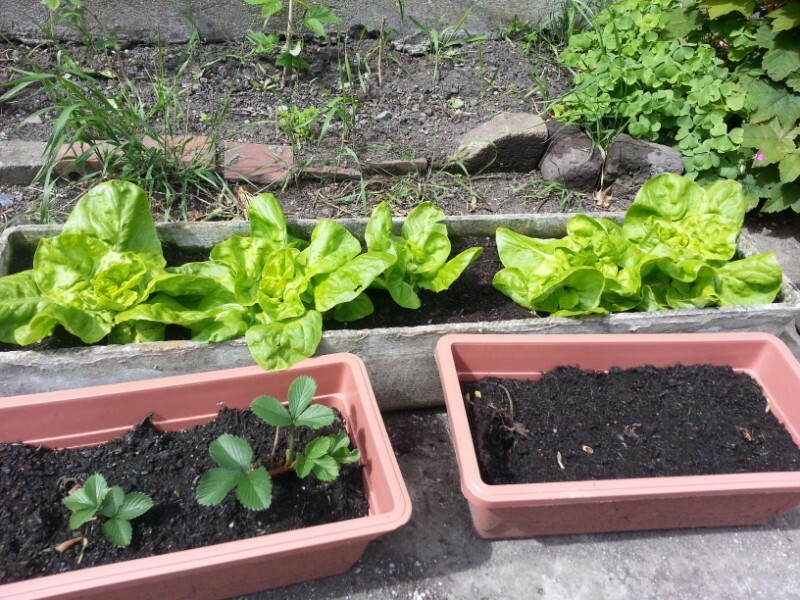 Several of our strawberry plants didn’t take and I haven’t gone to get more, but two are looking healthy, and our lettuce is growing nicely! In fact, all of that has now been clipped back and will shortly be part of our dinner! 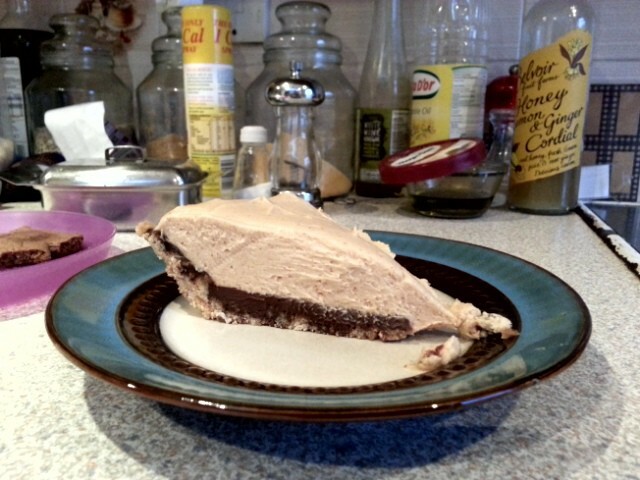 I keep meaning to try making a peanut butter pie but so many of them have chocolate in them, which I'm allergic to. Well, this one does too, but it doesn't have to, as it's just a layer of ganache over the graham cracker crust! Mix together, press into the bottom & sides of a 9" pie pan, bake for 10-12 minutes, remove from oven & allow to cool. Ooh, thanks! I may have to try that this weekend. Simple, kids love it (I like it). I have a much better, more complex one, but that's the basics. You can't get pudding mix here! It's tragical! ah! I shall check around, thank you! If you can't find copper tape, anything copper will do. zdashamber was thinking about taping U.S. pennies around her pots until tavella and I reminded her about the tape. We have a great product here called Sluggo, although there are other brands too. It contains iron phosphate, which is not only organic and harmless, it is good for the plants. The slugs ingest it and then can't digest their food, so they just disappear. works like a charm. I'll look for that, too! Thanks! Nice! I always love the idea of gardening, but honestly I tend to murder every plant I try to grow, so it's best not to try. Yours, however, is wonderful! Hey, that's the way I garden, too!